Jordan Case has big plans for the ongoing expansion of his business. He's already put in wireless Internet access. He's adding a café. And he's installing a putting green for customers who want to hone their golf skills while waiting for service. Case isn't the manager of a swank hotel or restaurant. He's the president of Park Place Lexus, an auto dealership with two locations in the Dallas [Texas] area, and he takes pride that his dealership is, well, the anti-dealership. In addition to the café, putting green, and Internet access, customer perks include free car washes and portable DVD players with movies loaned to waiting service clients. Last year, Park Place Lexus's passion for customer service earned it a Malcolm Baldrige National Quality Award, a business-excellence honor bestowed by the U.S. government, making it the first automotive dealership ever in the award's 18-year history to win the Baldrige. "Buying a car doesn't rank up there with the top five things you like to do," Case says. "So we try to make the experience different." To delight customers and keep them coming back, the Lexus Covenant promises that its dealers will "treat each customer as we would a guest in our home" and "go to any lengths to serve them better." north of Miami [Florida], "guests," as Lexus calls its customers, leave their cars with a valet and are then guided by a concierge to a European-style coffee bar offering complimentary espresso, cappuccino, and a selection of pastries prepared by a chef trained in Rome. "We have customers checking into world-class hotels," says a dealership executive. "They shop on Fifth Avenue [in New York City] and they expect a certain kind of experience." Lexus knows that good marketing doesn't stop with making the sale. Keeping customers happy after the sale is the key to building lasting relationships. Dealers have a common goal: to delight customers and keep them coming back. Lexus believes that if you "delight the customer, and continue to delight the customer, you will have a customer for life." And Lexus understands just how valuable a customer can be—it estimates that the average lifetime value of a Lexus customer is $600,000. Despite the amenities, few Lexus customers spend much time hanging around the dealership. Lexus knows that the best dealership visit is the one that you don't have to make at all. So it builds customer-pleasing cars to start with—high-quality cars that need little servicing. 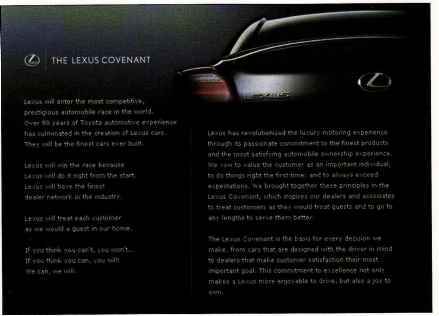 In its "Lexus Covenant," the company vows that it will make "the finest cars ever built." In survey after industry survey, Lexus rates at or near the top in quality. Lexus has topped the list in five of the last seven annual J.D. Power and Associates Initial Quality Study ratings. Still, when a car does need to be serviced, Lexus goes out of its way to make it easy and painless. Most dealers will even pick up the car, and then return it when the maintenance is finished. And the car comes back spotless, thanks to a complimentary cleaning to remove bugs and road grime from the exterior and smudges from the leather interior. You might even be surprised to find that they've touched up a door ding to help restore the car to its fresh-from-the-factory luster. "My wife will never buy another car except a Lexus," says one satisfied Lexus owner. "They come to our house, pick up the car, do an oil change, [spiff it up,] and bring it back. She's sold for life." And when a customer does bring a car in, Lexus repairs it right the first time, on time. 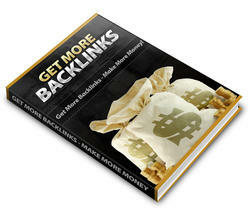 Dealers know that their well-heeled customers have money, "but what they don't have is time." So dealers like Mike Sullivan in the U.S. state of California are testing a system that uses three technicians instead of one for 35,000-mile service checkups. The new system will cut a customer's wait in half. "I'm not in the car business," says one dealer. "I'm in the service business." .exus has revolutionised the luxury motoring experience hrough its passionate commitment to the finest product irtd the most satisfying automobile ownership experienc ¥e. vow to value the customer as an important ¡ndrvidua o do things right the first time: and to always exceed ixpectations, v/e brought together these principles in th .exus Covenant, which inspires our dealers and associa o treat customers as they would treat guests and to go my lengths to serve them better. The Lexus Covenant is the basis for every decision we make., from cars that are designed with the driver in mi to dealers that make customer satisfaction their most important goat. This commitment to excellence not only makes a Lexus more enjoyable to drive, but also a joy if you think you can't, you m If you think you can, you will We can, we wit!. neai Marketing 5.2 Continued vow to value the customer as an Important individual. To do things right the first time. And to always exceed expectations." Jordan Case of Park Place Lexus fully embraces this philosophy: "You've got to do it right, on time, and make people feel like they are the only one in the room." Proclaims the Lexus Covenant, "Lexus will treat each customer as we would a guest in our own home." At Lexus, exceeding customer expectations sometimes means fulfilling even seemingly outrageous customer requests. Dave Wilson, owner of several Lexus dealerships in Southern California, tells of a letter he received from an angry Lexus owner who spent $374 to repair her car at his dealership. She'd owned four prior Lexus vehicles without a single problem. She said in her letter that she resented paying to fix her current one. Turns out, she thought they were maintenance free—as in get in and drive . . . and drive and drive. "She didn't think she had to do anything to her Lexus," says Wilson. "She had 60,000 miles on it, and never had the oil changed." Wilson sent back her $374. By all accounts, Lexus has lived up to its ambitious customer-satisfaction promise. It has created what appear to be the world's most satisfied car owners. Lexus regularly tops not just the J.D. 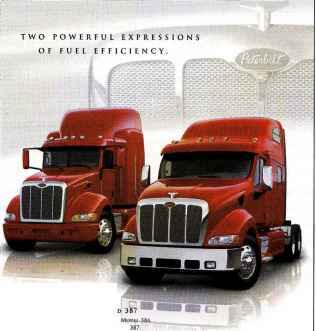 Power quality ratings, but also its customer-satisfaction ratings worldwide. Last year, for the second consecutive year, Lexus ranked number one in the J.D. Power and Associates Sales Satisfaction Index, which measures customer satisfaction with the new-vehicle sales process. Customer satisfaction translates into sales and customer loyalty. Once a Lexus customer, always a Lexus customer—Lexus retains 84 percent of customers who've gone to the dealership for service. Just ask a Lexus customer. "I'm telling you, this is class, buddy," says customer Barry Speak while reclining in a vibrating massage chair at a Lexus store. Owner of a late-model Lexus LS 4300 sedan, Speak says there is no doubt he will come to the store for a new vehicle in a year or two. "My wife and I are going to be fighting over who gets to take the car in now," he says over the chair's hum. "You're not kidding!" Jane Speak chimes in from the store's other massage chair. Sources: The examples are adapted from Mac Gordon, "He Runs the Largest Lexus Store," Ward's Dealer Business. February 2008, p. 64; Neil E. Boudette, "Luxury Car Sellers Put on the Ritz," Wall Street Journal, December 18, 2007, p. B1; and Julia Chang, "At Your Service," Sales & Marketing Management, June 2006, pp 42-43. Other information and quotes from Steve Finlay, "At Least She Put Fuel in It," Ward's Dealer Business, August 1, 2003; "J.D. Power and Associates Reports: Lexus Ranks Highest in Sales Satisfaction as Industry Achieved Record Highs Sales for a Second Consecutive Year," PR Newswire, November 14, 2007; "Toyota Reports 2007 and December Sales," PR Newswire, January 3, 2008; and "Lexus Covenant," accessed at www.lexus.com/about/corporate/covenant.html, December 2008. A dissatisfied consumer responds differently. Bad word of mouth often travels farther and faster than good word of mouth. It can quickly damage consumer attitudes about a company and its products. But companies cannot simply rely on dissatisfied customers to volunteer their complaints when they are dissatisfied. Most unhappy customers never tell the company about their problem. Therefore, a company should measure customer satisfaction regularly. It should set up systems that encourage customers to complain. In this way, the company can learn how well it is doing and how it can improve. By studying the overall buyer decision, marketers may be able to find ways to help consumers move through it. For example, if consumers are not buying a new product because they do not perceive a need for it, marketing might launch advertising messages that trigger the need and show how the product solves customers' problems. If customers know about the product but are not buying because they hold unfavorable attitudes toward it, the marketer must find ways either to change the product or change consumer perceptions. Author I Here, we look at some Comment | Specja| considerations in new-product buying decisions. A good, service, or idea that is perceived by some potential customers as new. The mental process through which an individual passes from first hearing about an innovation to final adoption. We have looked at the stages buyers go through in trying to satisfy a need. Buyers may pass quickly or slowly through these stages, and some of the stages may even be reversed. Much depends on the nature of the buyer, the product, and the buying situation. 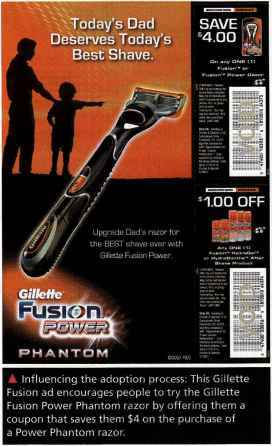 Influencing the adoption process: This Gillette Fusion ad encourages people to try the Gillette Fusion Power Phantom razor by offering them a coupon that saves them $4 on the purchase of a Power Phantom razor. • Evaluation: The consumer considers whether trying the new product makes sense. • Trial: The consumer tries the new product on a small scale to improve his or her estimate of its value. • Adoption: The consumer decides to make full and regular use of the new product. This model suggests that the new-product marketer should think about how to help consumers move through these stages. A For example, to encourage consumers to try its new Gillette Fusion razor, its manufacturer, P&G, featured coupons offering substantial savings. Similarly, a luxury car producer might find that many potential customers know about and are interested in its new model but aren't buying because of uncertainty about the model's benefits and the high price. The producer could launch a "take one home for the weekend" promotion to high-value prospects to move them into the trial process and lead them to purchase. People differ greatly in their readiness to try new products. In each product area, there are "consumption pioneers" and early adopters. Other individuals adopt new products much later. People can be classified into the adopter categories shown in ^Figure 5.7. After a slow start, an increasing number of people adopt the new product. The number of adopters reaches a peak and then drops off as fewer nonadopters remain. Innovators are defined as the first 2.5 percent of the buyers to adopt a new idea (those beyond two standard deviations from mean adoption time); the early adopters are the next 13.5 percent (between one and two standard deviations); and so forth. The five adopter groups have differing values. Innovators are venturesome—they try new ideas at some risk. Early adopters are guided by respect—they are opinion leaders in their communities and adopt new ideas early but carefully. The early majority are deliberate—although they rarely are leaders, they adopt new ideas before the average person. The late majority are skeptical—they adopt an innovation only after a majority of people have tried it. Finally, laggards are tradition bound—they are suspicious of changes and adopt the innovation only when it has become something of a tradition itself. • Awareness: The consumer becomes aware of the new product, but lacks information about it. • Interest: The consumer seeks information about the new product. #F!GURE | 5.7 Adopter Categorization on the Basis of Relative Time of Adoption of Innovations Source: Reprinted with permission of the Free Press, a Division of Simon & Schuster, from Diffusion of Innovations, Fifth Edition, by Everett M. Rogers. Copyright © 2003 by the Free Press. New-product marketers often target innovators and early adopters, who in turn influence later adopters. Time of adoption of innovations them. In general, innovators tend to be relatively younger, better educated, and higher in income than later adopters and nonadopters. They are more receptive to unfamiliar things, rely more on their own values and judgment, and are more willing to take risks. They are less brand loyal and more likely to take advantage of special promotions such as discounts, coupons, and samples. • Relative advantage: the degree to which the innovation appears superior to existing products. HDTV offers substantially improved picture quality. This will speed its rate of adoption. • Compatibility: the degree to which the innovation fits the values and experiences of potential consumers. HDTV, for example, is highly compatible with the lifestyles of the TV-watching public. However, many programs and channels are still not yet available in HD, and this has slowed HDTV adoption. • Complexity: the degree to which the innovation is difficult to understand or use. HDTVs are not very complex and, therefore, once more programming is available and prices come down, they will take less time to penetrate homes than more complex innovations. • Divisibility: the degree to which the innovation may be tried on a limited basis. Early HDTVs and HD cable and satellite systems were very expensive, slowing the rate of adoption. As prices fall, adoption rates will increase. • Communicability: the degree to which the results of using the innovation can be observed or described to others. Because HDTV lends itself to demonstration and description, its use will spread faster among consumers. Other characteristics influence the rate of adoption, such as initial and ongoing costs, risk and uncertainty, and social approval. The new-product marketer must research all these factors when developing the new product and its marketing program. Why lexus has good relationship with custumers? What are the five lexus covenants? What is "lifetime value" of a customer AND lexus? What special things do some lexus dealerships do for their service customers? How does lexus delight customer?